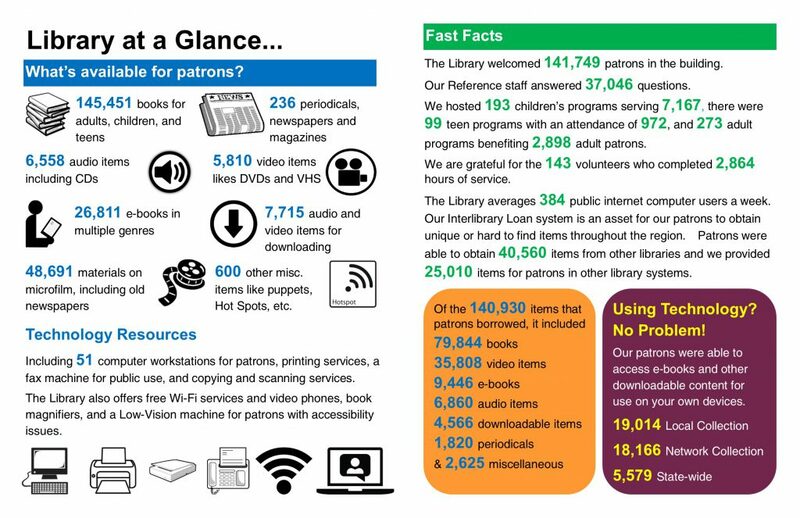 In honor of the American Libraries Association’s National Libraries Week, we wanted to share with our patrons a little more about the library and our highlights for 2018. ALA shares the trends in the country’s libraries and more information about these as well as the top 11 banned books of 2018 can be found on their website. 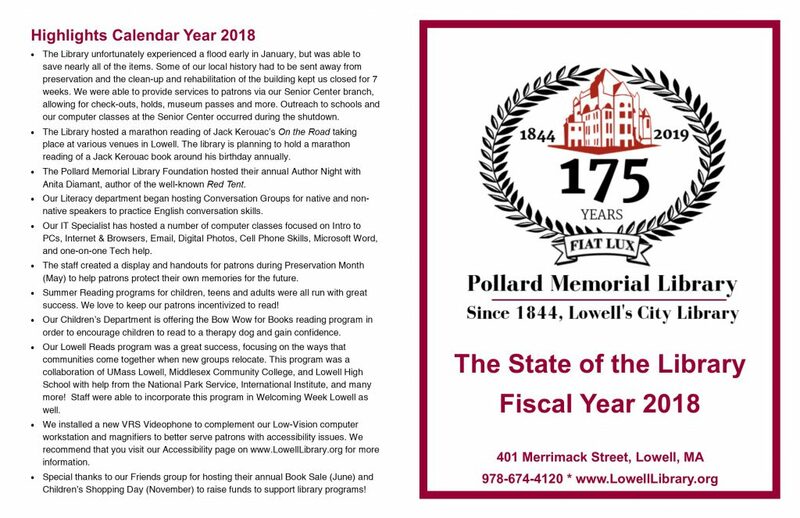 In this way, the staff at the Pollard Memorial Library would like to share with you some of our statistics and highlights from 2018 to share. You can download the State of the Library here or view images of the report below. As we celebrate our 175th anniversary, we are asking all patrons to share their favorite stories about the library via social with the hashtags #MyLibraryMyStory and #LowellLibrary175. You can also send us your stories about the library via mail to 175th Celebration Committee, Pollard Memorial Library, 401 Merrimack Street, Lowell, MA 01852.